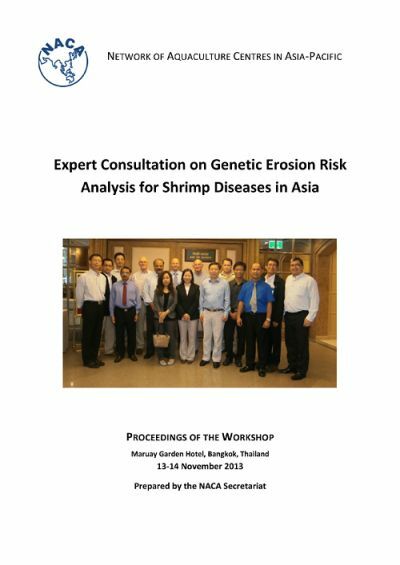 The basic tenet for this Expert Consultation is that an important aggravating factor in the disease crisis is an agro-economic system that locks shrimp breeders, hatcheries and farmers into behaviour that induces high levels of inbreeding. If inbreeding does increase the severity and frequency of epidemics, this disease crisis will only get worse over vast areas of Asia, Central and South America, Africa and the Middle East until it is addressed. This Expert Consultation was organised in conjunction with the annual meeting of the NACA Aquatic Animal Health Advisory Group (NACA-AG) to take advantage of the physical presence and expertise of a small group of world renowned Aquatic Animal Health experts from several national and international institutions. The list of participants and workshop agenda are presented in Annexes 1 and 2. 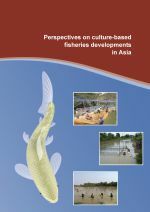 This consultation is perhaps the first of its kind to bring together a balanced group of experts from diverse fields – epidemiology, microbiology, disease diagnostics and surveillance, aquaculture genetics, fish breeding, and evolutionary biology – to take a fresh, in-depth, and wider perspective on the possible interaction between genetic side-effects of broodstock management and the looming threat of aquatic animal diseases, in particular the contemporary shrimp disease crisis.